Today we have a guest post by my good friend Adam. I gave him some advice and tips, but he did all of the work himself. “I found this guitar at the bottom of my in-laws’ stairwell. It was being thrown out. When I touched the gig bag it was in, my fingers came away black with dust and grime yet inside was this near perfectly clean guitar. I did a bit of a quick clean and initial set up but now it’s time to get serious and get her playing and looking right. 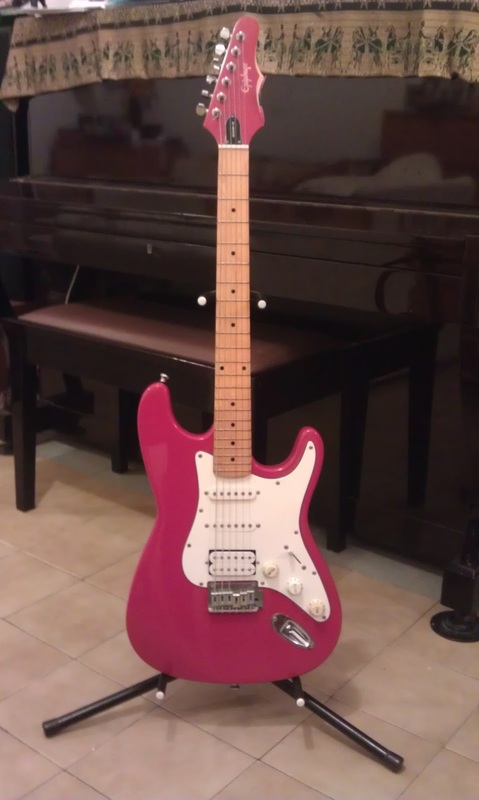 She’s an Epiphone Strat copy. I’d expect Scarlet to be getting on for 18-20 years old too. 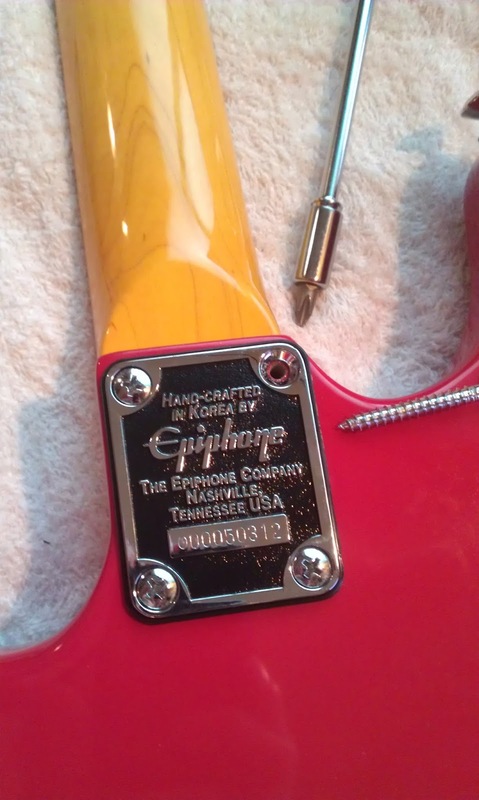 Further search reveals it to be an Epiphone S310 Batwing Stratocaster. This large cavity was what I was hoping for rather than the intricately routed ones on Fenders and Squires. It will make coating the cavity easier with copper sheeting. It also means I may be able to buy a Fender tortoiseshell guard. 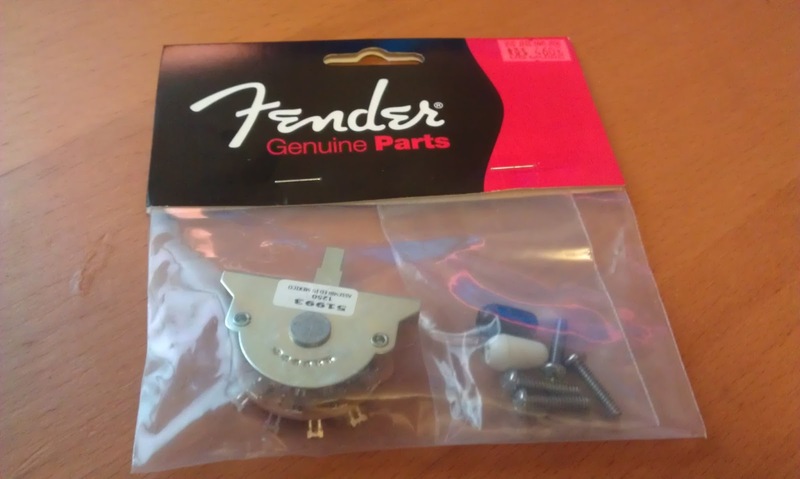 The pickups were set in different positions to a Fender and I was worried that if the cavity was shaped like a Fender I wouldn’t be able to fit pick ups in different positions. 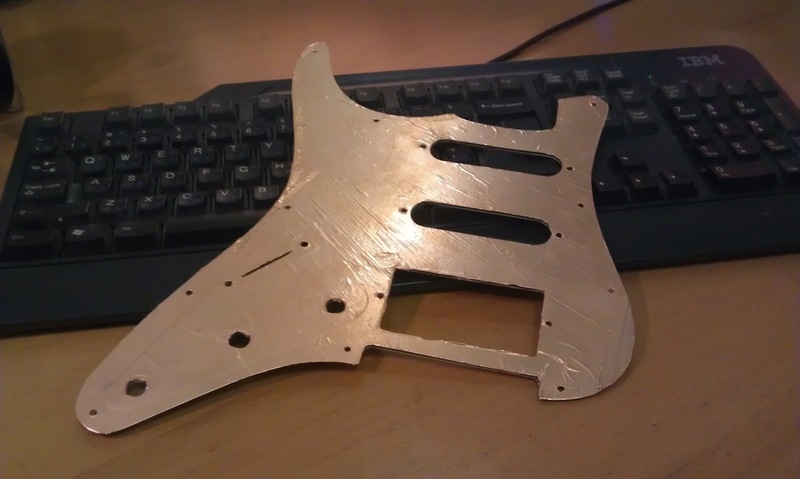 Back of the pick guard. Just this little sliver of shielding behind the pots. Taking the neck off to make the body easier to work with. Note the nice plate on the back of the neck – pretty cool. Taking the bridge apart. 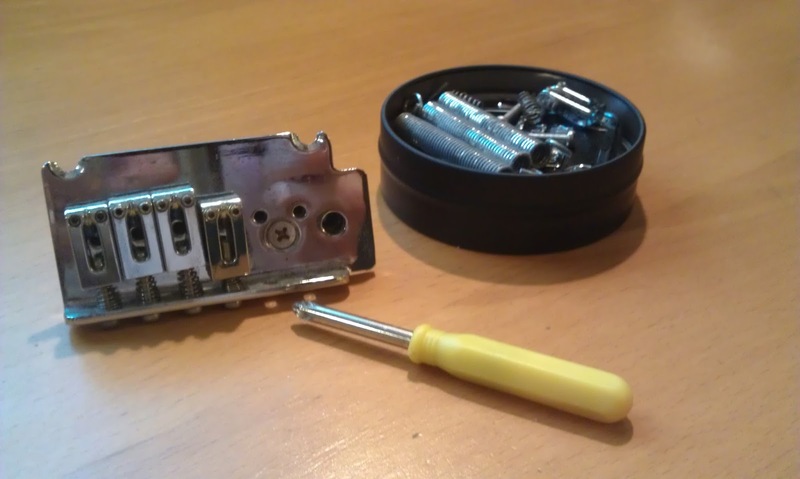 It’s good to have a tin handy to chuck all those screws and bits and pieces into so they don’t get lost. Voila! Some rust and gunk on the bridge. Surprised it’s not more after almost 20 years of use (or non-use). We’ll see what we can do about that. All the hardware is off the body. Ready for the copper sheeting now. Maybe it wasn’t necessary to take everything off but I wanted to get a proper look at everything. When I put it all back together I’ll know it’s right. 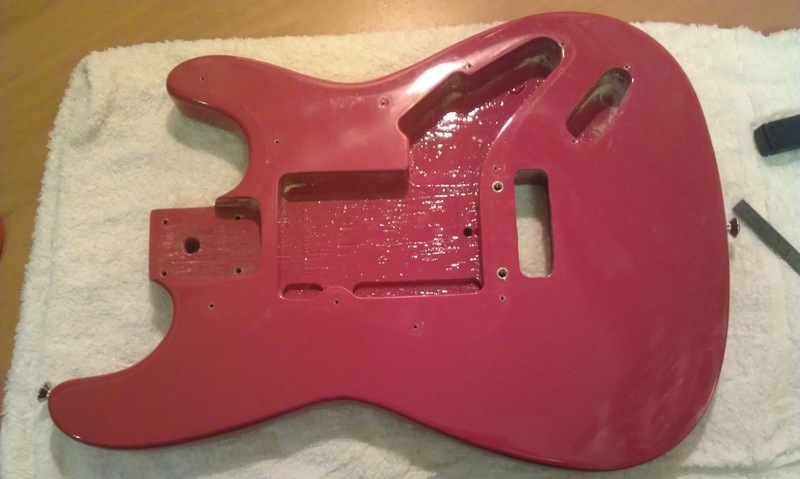 At this stage I tried to fit a Fender pick guard I had lying around to the body with the idea of buying a tortoiseshell one (I’ve seen one about town with an HSS layout) but unfortunately the shape of the pick guard was just out enough for it not to be possible. Yeah, this job is going to be so much quicker than lining a Fender. This stretch is one strip of sheet. 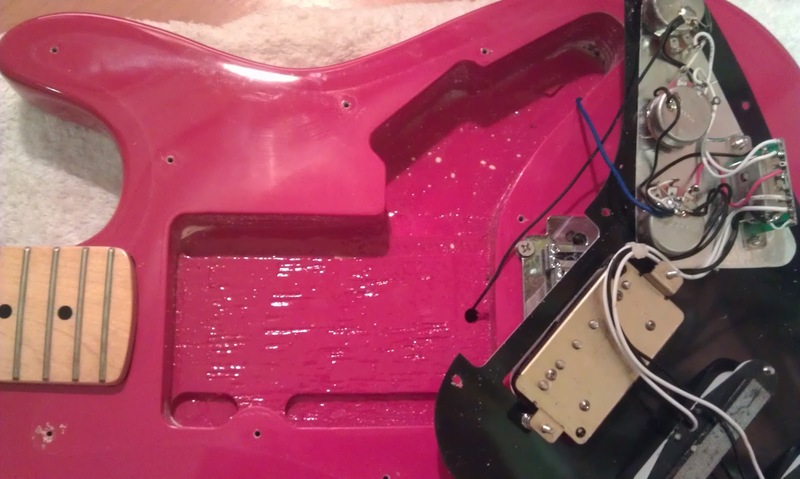 Yes, a much quicker job than a Squier and many more big strips were laid down rather than little pieces. 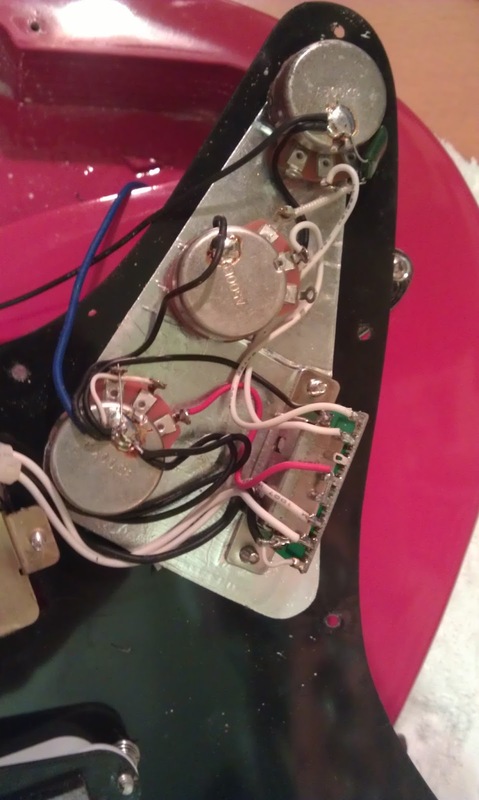 I’ve left the electrics soldered together for now. It looks like the factory did a nice job on the solder and I’m not too deft with the stuff so I want to keep my clumsy work to a minimum. I did make sure to mark the parts I could confuse easily with some tape. Yellow tape on a pickup or pot means it’s nearest the neck. Black tape means it’s nearest the bridge. 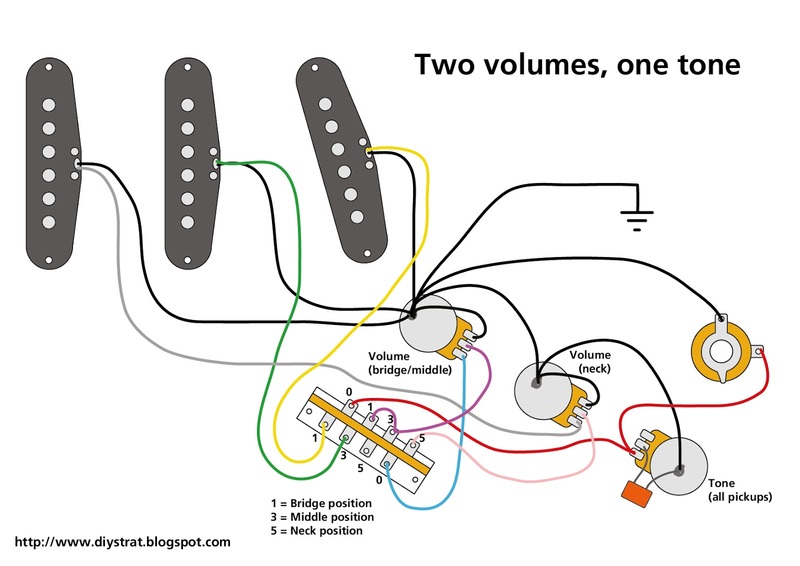 There is no confusing the humbucker! I don’t think I will replace these pots. They look pretty good quality. I will try to clean them up a little though. 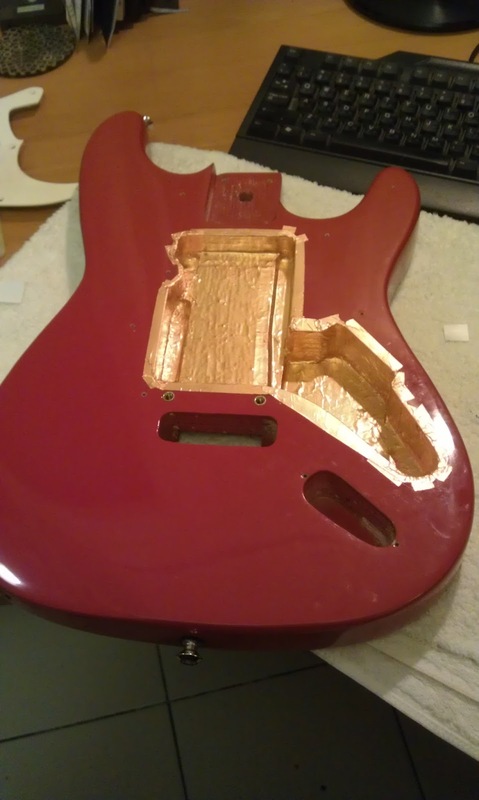 The copper has been applied to the rear of the pickguard. I almost got it on in one piece! 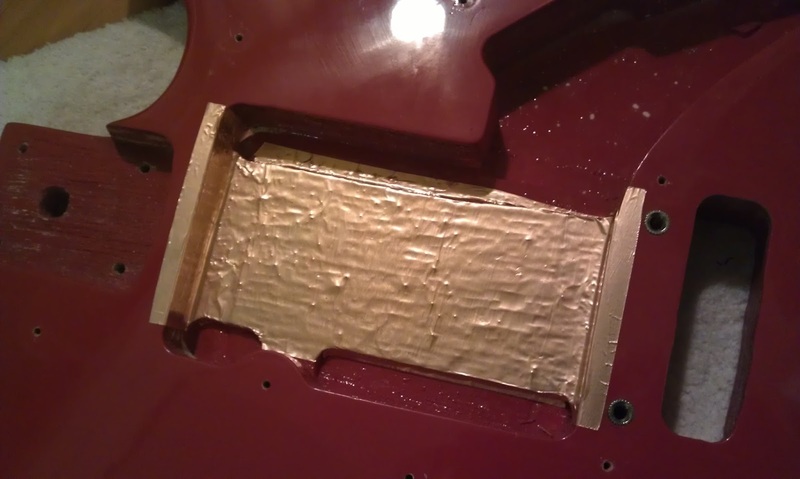 Remounting the parts on the copper covered pickguard. 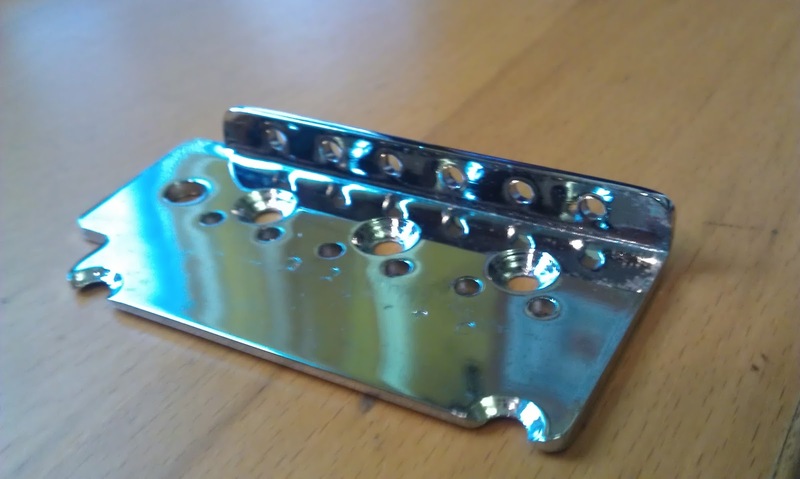 I’ve soldered the ground to the back of the pickguard. 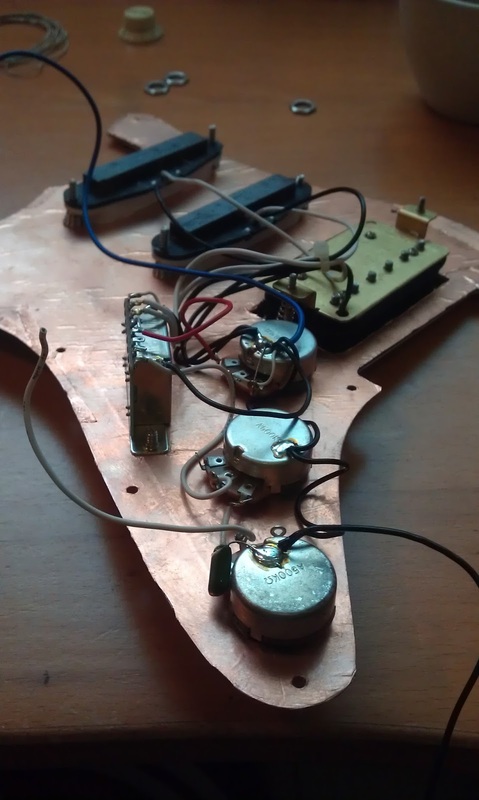 I will solder the ground to the tremolo unit to the copper lining in the cavity. 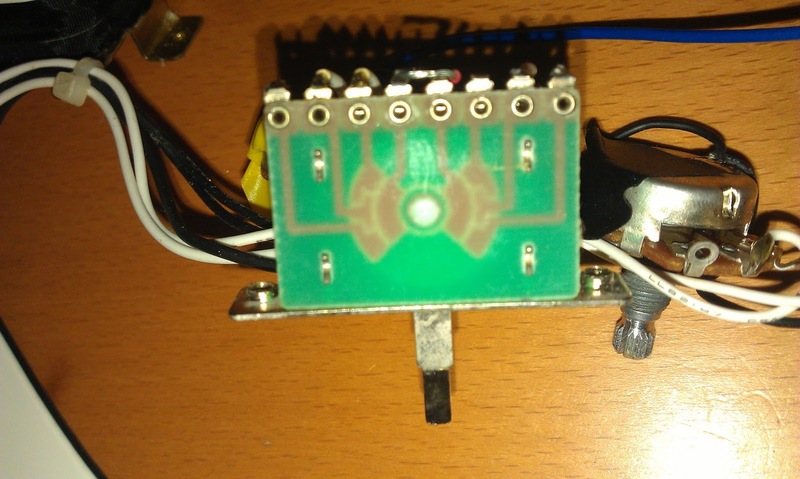 Don’t worry, I didn’t leave the soldering looking as bad as this! 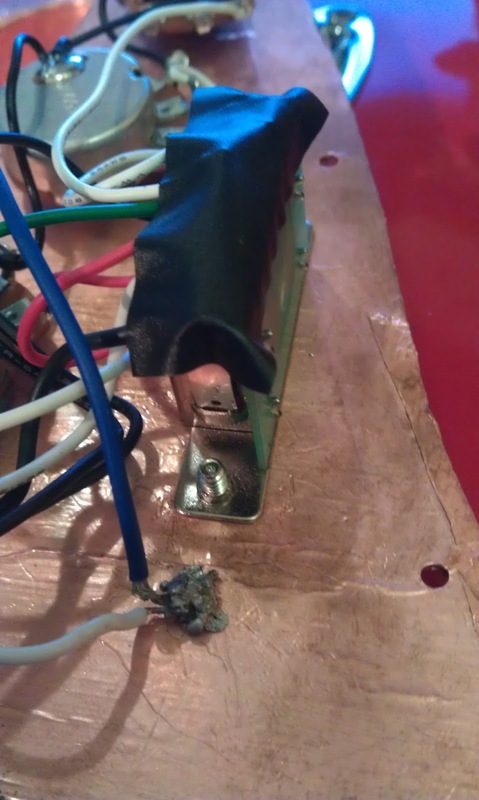 I’ve also covered the selector switch with tape to reduce the chance of anything touching the copper lining and sending the pickup signal to ground. When I’d put the whole thing back together again I found that the import type switch was really scratchy and horrible sounding so I decided to go out and get a good quality switch. 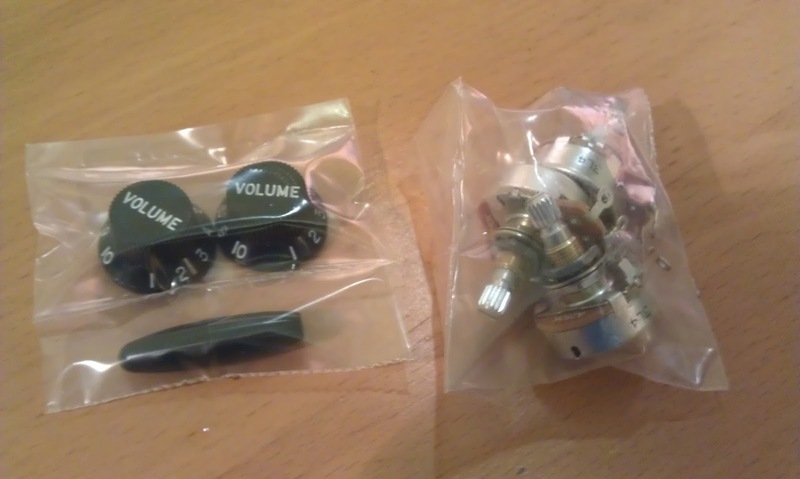 In the end I decided to go for black replacement knobs and tremolo end. I also decided to replace the pots. I have some Fender pick up covers lying around. One of them is black and I think that will make a nice touch. Had to file down the pick guard because the Fender pick up covers are 1mm longer than the Epiphone ones! 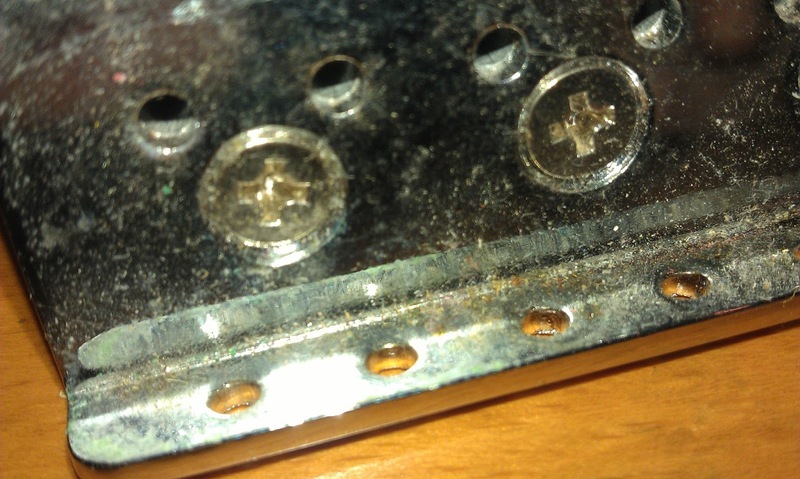 It’s not completely even but you’ll never notice when the pickups are mounted. 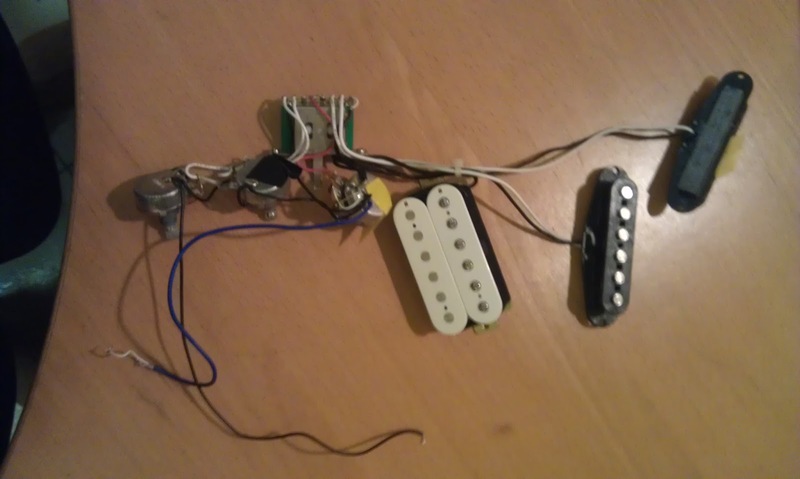 When I strung the whole thing up I found that the tremolo bridge was rising up far too much. 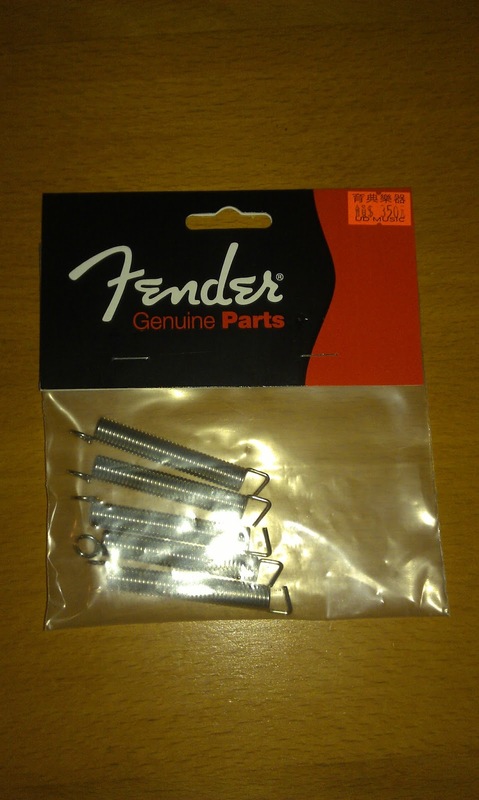 The tremolo springs are clearly to blame so I got a new set. 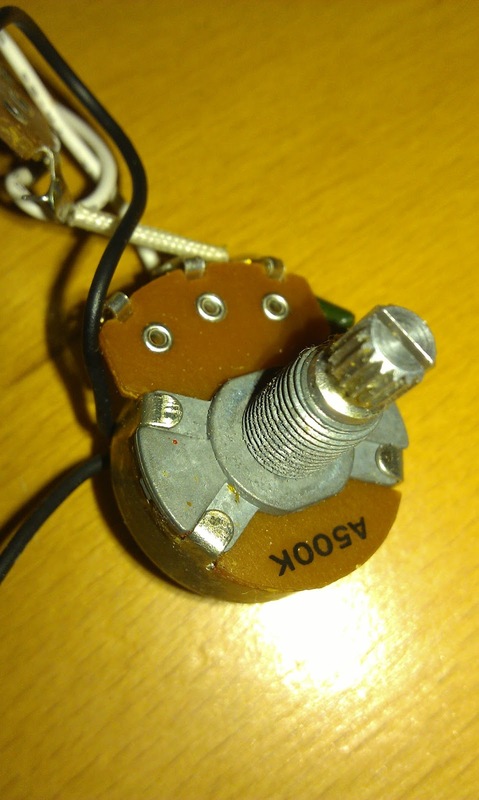 I didn’t notice it before because I had the tremolo blocked off. Because the tremolo unit isn’t great I decided to have it flush to the body rather than floating to help the guitar stay in tune better. 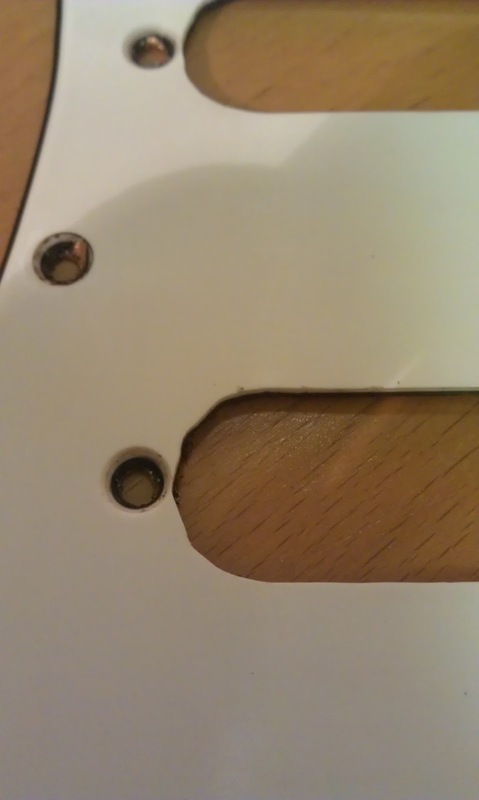 I also needed to file the nut a little on D and G string grooves. I had to use all five strings in this pack to get the bridge flush! The finished article. Took her for a test drive with the boys. Even though she isn’t a patch on my American Fender and isn’t as nice as the Squire I worked on recently, she did the job well enough. I think I’ll just play her at home to save wear and tear on my nicer guitars. Hey, but pretty nice for something found on the stairs! I’m happy she has a home. I have a nephew who seems interested in guitar. I might sort him out an acoustic and if he gets into that let him have Scarlet."